Two leading experts on seismic aspects of large dams raise troubling questions over the design for the mega project. 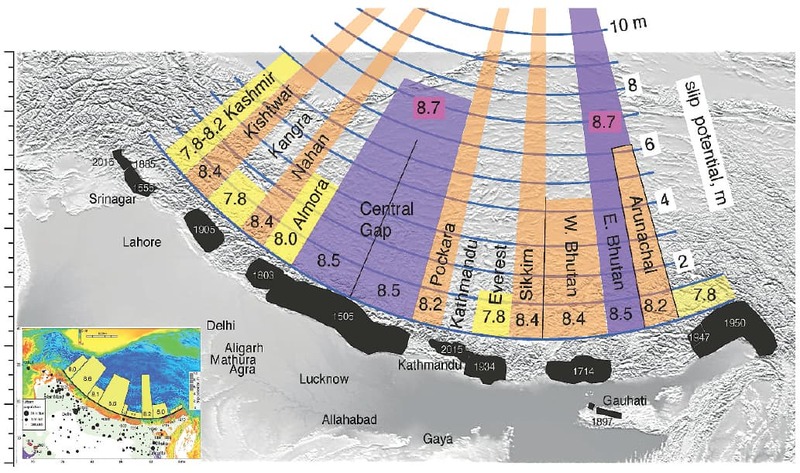 Map of historical mega earthquakes and predicted earthquake magnitudes along the Hindu Kush/Himalayan/Karakoram tectonic interface arc. 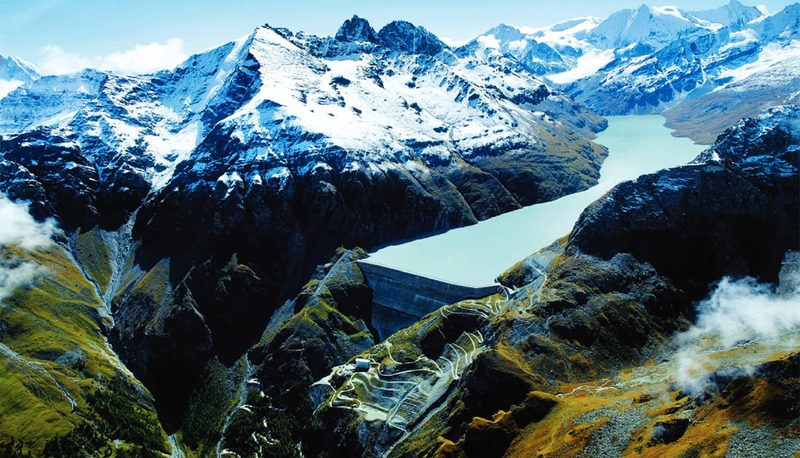 Header photo: The 285-metres-high Grande Dixence gravity dam in Switzerland, which was completed in 1961, is currently the world's highest gravity dam. The Diamer Bhasha and Dasu dams will have a similar height. Click on the tabs below to read more. Eos asked Wapda, the lead authority overseeing the construction of Diamer Basha dam, about the seismic design of the project, and whether they have factored in the heightened risk of earthquakes in the region when drawing up the design parameters. 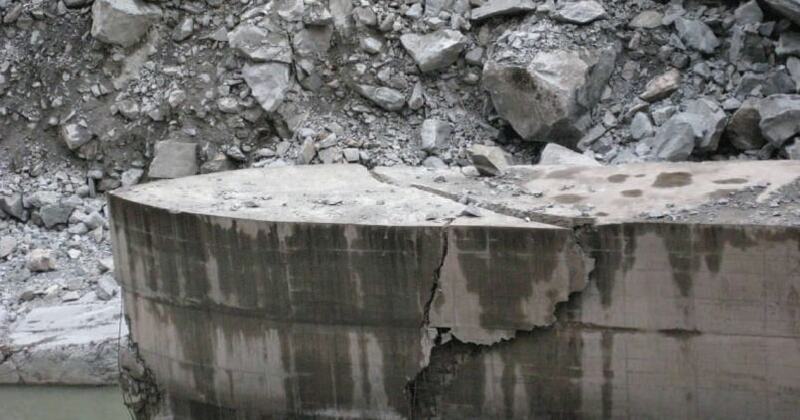 Specifically two questions were posed to the authority, both asking for the range of ground shaking that the dam has been designed to withstand. 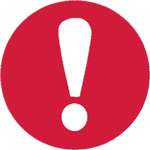 Earthquakes involve two kinds of ground shaking that have to be taken into consideration when designing structures in hazardous zones. There is vertical acceleration, the speed with which the ground is expected to rise and fall in a possible earthquake, and the horizontal acceleration, which is the speed with which the ground is expected shake from side to side in an earthquake. Eos asked Wapda what range of vertical and horizontal acceleration they have used in the design parameters of Diamer Basha dam. In vertical acceleration, Wapda replied saying the range they have factored is 0.146g as the operating basis for an earthquake, and 0.247g as the maximum design earthquake that the structure will be designed to withstand. In horizontal shaking, the operating earthquake assumption used in the structure’s design is 0.22g and the maximum design earthquake parameter is 0.37g. But the data raises very important questions. The ranges identified by Wapda are more or less consistent with the seismic tolerance ranges given in the Building Code of Pakistan 2007. In that code, the peak horizontal ground acceleration that should be accounted for in Zone 3 of Pakistan (where the dam site is located) is 0.24g to 0.32g. The Wapda range for the dam structure is very similar to this. There are two big problems that this data has. First is that the Building Code of Pakistan 2007 specifically says that its tolerance ranges are not applicable to dams as well as a host of other structures that are larger than small houses, including power stations and transmission lines, military installations, tunnels and pipelines and more. In fact, the code specifically says that its provisions are for “buildings and building-like structures” only. The second big problem is that the ground shaking parameters are taken from the October 2005 earthquake, which occurred hundreds of miles away from the dam site. The question naturally arises: what if the next earthquake is closer to the dam site? The ground-shaking in an earthquake decreases by the square of the distance as one moves away from the epicentre. 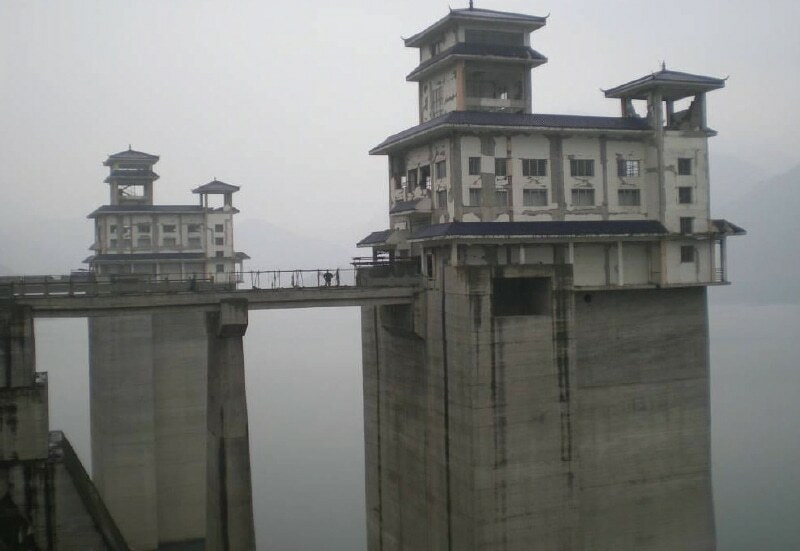 If done properly, the seismic design parameters should assume that the epicentre of the next mega earthquake will be directly under the dam itself, then draw up a tolerance range and multiply it by five, at least, to arrive at a safe provision for the seismic hazard that the dam faces. At the moment, the seismic design parameters that Wapda has derived for the dam and its associated structures (power house and tunnels, transmission lines, etc) is grossly inadequate to the seismic risk that the structure is exposed to. 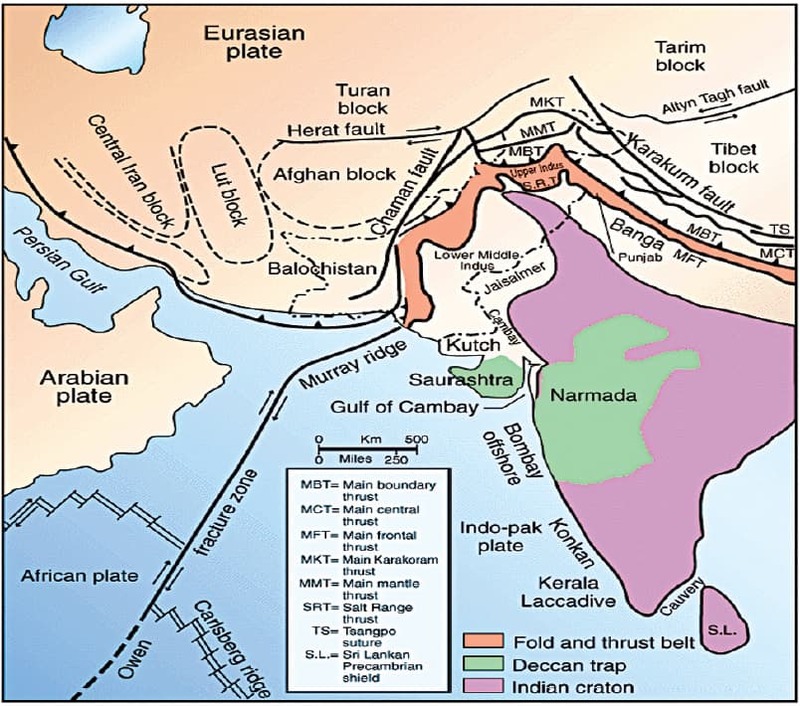 Basins and tectonics in South Asia. In short It is not safe. That is what report says. lt will be safe. Don't worry. Build the dam first. Use good quality of cement and steel. The present WAPDA chairman is not an engineer and the first non engineer to occupy this post. He should be removed immediately and a technical chairman appointed before construction of this dam. @Mussadiq Hussain khan, We have lot more work on our country. If you have money you can build as many dams you can. Author is merely pointing out the calamities imminent as the proposed plan is in extremely active seismic zone. Building multiple smaller dams is viable economic wise and also ecology wise. India has constructed dams that are designed to withstand an earthquake of 8.4 magnitude. Pakistan could do it too. Also depends on the design and contractors. Remember the Islamabad airport? @facts matter, could you provide any sources? Everything carries a 'risk'! The dam should be built with a 'measured risk' design! Not building the dam is NOT an option for the country! Last dam Pakistan built was 40 years ago. try making a pencil first. @Sweets, Its surprising how people miss the simple point the author is trying to make. Where is the money to build a dam? Need at least 25 more years to collect billions needed to build one. Why worry about a dam that doesn't exist? Live peacfully for 50 more years and when dam funds collect the build it after 50 years. Hoover Dam Nevada USA is one engineering marvel that has bee built in a high seismic zone. Design is important if Design is good without cutting corners it may become a success. Afterall,to conclude no one can predict that a technological advancement can fight a natural disaster. The authors are simply pointing to design considerations that may not have been addressed in earlier studies and we should be thankful for that important piece of information and advice. In addition to the natural earthquakes, the situation between Pakistan and India warrants the consideration of effects of bombing raids and depth charges by the enemies of the country. During 2nd world war, without consideration of the life of civilians, dams were bombed and destroyed and cripple the opposite side. For planning purposes, expect similar actions from anti-Pakistan India. @aditya shetty, you nailed it brother. Pakistan has no time for cost benefit analysis; Pakistan immediately needs water and cheap energy to survive and for that Pakistan must build Dams big and small at ALL feasible locations. It was designed by world's most famous designers. They can not miss this point. So not good to comment without looking into details which WAPDA must have checked. No one can say what will be the intensity of the next EQ. One can design a structure based on the current data and if anything happens more than the available data then the designer design the structure to fail in a way as he wanted. So the concern authorities are ready for the failure and the measures are in place to deal with the aftermath of the EQ. @Rauf, It is definitely very safe dam and on implemetation of above stated suggestions will boost the safety of structure. Considering Japanese that they never evaded the situation rather built such seismic resistant structures to safegaurd everything from future risks even when nobody stands against nature. Auther is simply trying to give idea about siesmic risk,and its measure. definitely he has experience in such projects, so government must take intention towards its feasibility repirts planning and structure.